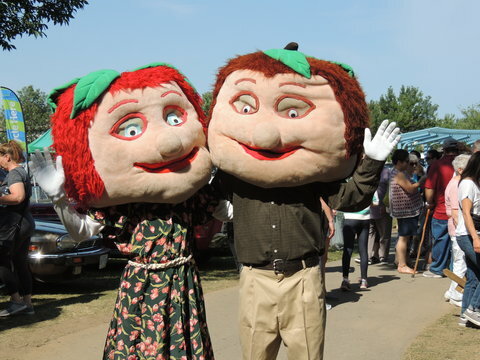 Peter and Paula have been the mascots of the Winona Peach Festival since 1981. Peter and Paula are siblings. 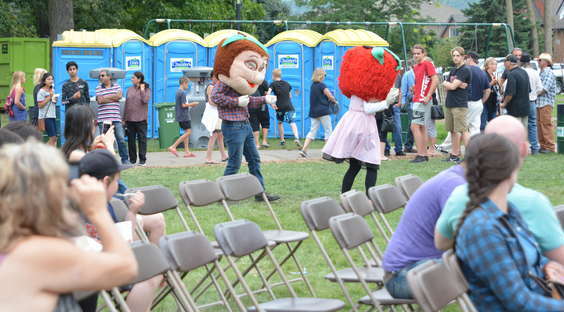 Over the years, Peter and Paula have delighted children of all ages! 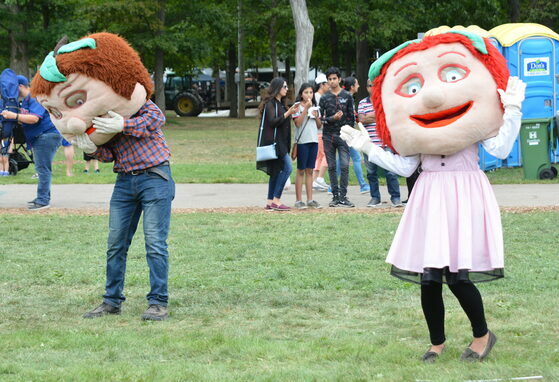 This year we are unveiling our new Peter & Paula! Peter thinks that Paula's dance moves are funny! Peter and Paula amusing the crowd before the entertainment starts with their cool moves!